This week’s Nintendo eShop releases for Europe are in, delivering new content on Nintendo Switch and Wii U – as well as plentiful discounts across all platforms. This is the quintessential sequel for existing fans and a perfect starting point for newcomers. The Fear Effect: When your fear meter rises, you will be more susceptible to injury but will receive a boosted damage output and special abilities. Deny fear with stealth and strategy through the new isometric viewpoint and Tactical Pause feature. Enter the spirit realm: Encounter mystical forces of the Inuit and supernatural creatures of the spirit realm. Will you dare to face the unexpected? Steredenn: Binary Stars is an award-winning mashup of a shmup and a rogue-like, carved in big beautiful pixels, with insane boss battles. Fly solo or co-op with a friend, fighting off the worst scourges of space in a never-ending struggle for survival. Steredenn: Binary Stars is the expanded version of Steredenn. Enjoy infinite replayability and unforgiving gameplay through intense boss fights, (almost) randomly generated environments, twisted space events and a massive arsenal of weapons. This entry in the long-running series offers varied missions, with a strong focus on history to add intrigue to each battle. Across dozens of battles and multiple modes you manage a diverse range of troops and military units in turn-based conflict, utilising advanced strategies such as air defenses, while always being mindful of battlefield environments and cities. You can level up your HQ, capture enemy strongholds and also strengthen your own cities, build landmarks and gain access to powerful Generals. Battles take place on the ground, at sea and in the air, requiring careful strategy for victory. 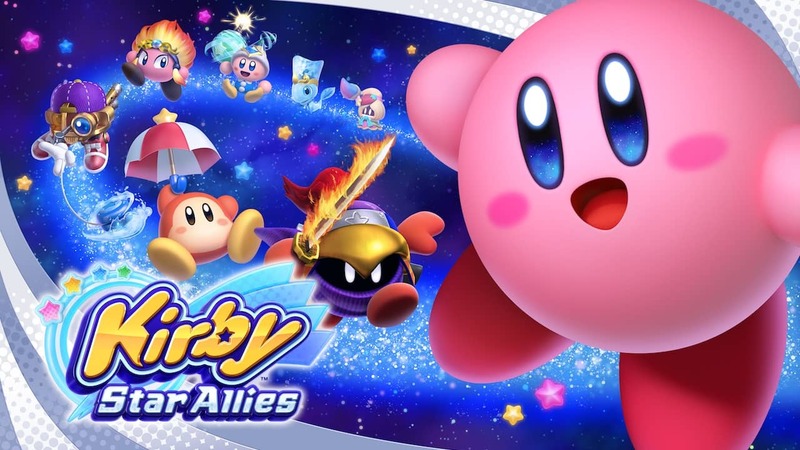 Kirby is back – and he’s finally on the Nintendo Switch console in HD! But this time, he’s not alone. Recruit enemies by hitting them with hearts, and gather helpers for a party of up to four characters. On top of that, you can join with up to three friends for a different kind of team-up action! The city is being invaded by monsters from the Upside Down World! You, the Potion Master, must defeat evil all alone, with no tutorials or “Easy Mode” to assist you. You’ll have to rely on the help of Fäy, your companion fairy, and your potions! Jump and shoot like they did in the good ol’ arcade days. Fight enemies in your world and in the Upside Down World! Defeat gigantic bosses and acquire their powers! A Normal Lost Phone is a game about exploring the property of an unknown person whose phone was found by the player. Sengoku 2 is a side-scrolling action game released by SNK in 1993. Take on the role of a warrior summoned by a shrine princess, and fight over various historical periods in order to defeat the dark monarch. Players can enjoy new tactical features such as charge attacks and defensive abilities. With stunning 3D graphics, you’ll be transported straight back to the arcades of your youth. Air Hockey takes full advantage of HD giving you stunning crisp graphics. Play against another player in two-player mode, or against the smart artificial intelligence (AI) player so winning won’t come easy. Star Force is a shooting game released in 1984 by Tehkan (now Koei Tecmo Games). It was very popular due to its variety of hidden bonuses as well as the competitiveness for achieving high scores. Enter the Aperture Science Enrichment Center and experience Bridge Constructor Portal – the unique merging of the classic Portal and Bridge Constructor games. As a new employee in the Aperture Science test lab, it’s your job to build bridges, ramps, slides, and other constructions in 60 test chambers and get the Bendies safely across the finish line in their vehicles. Make use of the many Portal gadgets, like portals, propulsion gel, repulsion gel, aerial faith plates, cubes, and more to bypass the sentry turrets, acid pools and laser barriers, solve switch puzzles, and make it through the test chambers unscathed. The one and only robot customization hack ‘n’ slash! Due to the bioweapons “Rages”, of which we lost control, the surface of the earth as we know it has been taken over. Wield the humanoid robot “Gears” to take back the city! Gears are enhanced through equipping a variety of over 460 parts. Find the perfect combination that suits your playstyle. Detention is a unique atmospheric horror game heavily influenced by Taiwanese/East Asian culture, religious elements and mythology. Based on the 1960s Taiwan under martial law, in this 2D atmospheric horror side-scroller, the player controls characters who venture into a school beset by hostile supernatural events to uncover stories behind the haunted place. The game provides players with unique graphics and gaming experience. Solve over 170 levels in 4 different modes. If you manage to solve all those riddles, the challenge is not yet over: Grid Mania generates random levels which might prove even more puzzling to wrap your head around. Engage your friends and family in frantic, couch multiplayer battles and co-op combat. As a member of The GUILT Patrol, you must battle the Dreadful Judge and his evil minions to bring peace back to the galaxy. In this frantic 2D couch combat game, you have one bullet to fire at your opponents. After firing your gun, you must “rebound” your bullet before firing again. This grin inducing mechanic introduces a new strategic element where thinking about where your bullet will land is as important as where you shoot! Get the definitive Let’s Sing 2018 experience with the Platinum Edition. Includes a copy of Let’s Sing 2018 and the Let’s Sing 2018 Song Pass. Warm up those vocal cords, enter the virtual stage and experience Let’s Sing! Exclusively chosen playlist: 30 top tracks. New rewarding gameplay elements: Beat your high score, collect avatars and unlock music certification records! Four challenging game modes: Compete against your friends in diverse modes including the brand new mode – Mix Tape! Little Triangle is a side-scrolling action game. Button operations are simply walking and jumping. Complete the stages by defeating the unique enemy characters and bosses! Dive into northern Mexico’s breathtaking landscapes with Mulaka, a 3D action-adventure game based on the rich indigenous culture of the Tarahumara. Renowned for their impressive running abilities, embark on the journey of a Sukurúame – a Tarahumara shaman – as you fight back the foulness corrupting the land, while drawing upon the powers of demigods. From solving puzzles in environments inspired by real Sierra Tarahumara locations, to heated hand-to-hand combat with creatures pulled from the region’s mythology, find out why the Tarahumara have earned a reputation for being superhumans. In the remote mountains of Colorado, horrors wait inside Mount Massive Asylum. A long-abandoned home for the mentally ill, recently re-opened by the “research and charity” branch of the transnational Murkoff Corporation, the asylum has been operating in strict secrecy… until now. Acting on a tip from an anonymous source, independent journalist Miles Upshur breaks into the facility, and what he discovers walks a terrifying line between science and religion, nature and something else entirely. Once inside, his only hope of escape lies with the terrible truth at the heart of Mount Massive. Divide up the packets that appear one after another, and aim to get a higher score than your opponent. This is a competitive-type active solitaire game where you aim for a high score by gathering the necessary packets while avoiding specific colours and putting them together in poker-style hands. There are 39 stickers to collect based on how you play. Includes VS Mode where you can compete against other players over the Internet. Aim for a high rank after completing story mode! Paper Wars: Cannon Fodder Devastated is the refreshed, updated, remastered, and enhanced edition of the Wii™ tower defense-like game! With updated graphics built from the ground up in Unity and a brand-new chapter where we’ve exchanged soldiers for zombies, it’s just better than ever! Prepare to face wave after wave of enemy soldiers and vehicles trying to cross the battlefield – don’t let them!!! Get in your tank, take control of the cannon, and wipe them out. Collect power-ups to call in an airstrike, use a special triple-shot skill, or slow time, well, to slow time! Simple and effective. Just be careful not to blow up the power-ups. Friendly fire, soldier! Friendly fire! What is “Thud”? If the sum of the hands matches other people’s layout. Basic Rule: You can discard the same suit as the table card or a number card. From the original creators of the famous Spot The Difference amusement machine game comes Spot The Difference for Nintendo Switch, a two-player version so you can play head-to-head against anyone, anytime. This special edition of Spot The Difference has the same exciting game play as the original amusement machine game, and just like the amusement machine it will take sharp eyes and quick wits to uncover all the differences before your opponent or against the clock in single-player mode. A detective stationed on the Subsurface Circular investigates a series of disappearances among the city’s robotic working class. Collect words and phrases, then use them in dialogue puzzles to uncover the world’s secrets and determine its future. Inspired by classic adventure games and modern dialogue systems, Bithell Games has created a single session story which respects your time and your intelligence. Super Toy Cars is a tabletop arcade combat racing game featuring fast and cool looking cars, impressive tracks made of everyday objects and a bunch of power-ups that will let you destroy your opposition. Collect all cars and upgrades to keep up with competition while you progress in career mode or have a quick race either against AI opponents or against friends. You can play with up to four players locally. The world is over. But it’s not quite over for you… at least, not yet. And now that you’ve got thousands of tonnes of locomotive at your disposal, you’ve got the definite advantage over the infected hordes. This is The Final Station. The real question is whether or not you’ll help the survivors get to their destinations…. or let them die and loot their bodies. Sometimes people can be more trouble than they’re worth. Are you ready to discover the undiscovered? Are you ready to climb the tallest mountains, wear the finest clothes, and earn a fortune beyond compare? Then welcome to the New World! Welcome to The Trail: Frontier Challenge! Join pioneers from across land and sea in an epic journey across an undiscovered country! Walk down the single track path of destiny at a calm and measured pace! Get out there and make your mark upon the world, adventurer! Happily hop your little goat through this modernized vision of classic and beloved arcade gameplay. Totes the Goat is a charming game with vibrant voxel art and a cast of fun playable characters to unlock. It will have you leaping like a kid in no time! Jump from platform to platform – bringing each one back to life – while avoiding hazardous Wily Wolves, Cranky Crows, and Bully Bears – oh my! Once a level is fully rejuvenated, hop down to the next level for an endless journey of jumps! RTO 2 is a side-scrolling first-person shooter with elements from the survival horror genre. Take control of a 6-man team through four episodes and do your best to survive and complete your mission. RTO 2 features randomly generated levels and permadeath. It will pitch you up against hordes of enemies and test your survival skills. Welcome to high-speed brick-dodging with Brick Thru. Quickly dash left or right finding an open space in the game board as the oncoming bricks try to knock you out. See how long you can go and rack up a high score! Endless fun for everyone! Let’s make animation easily with characters written by yourself! Character animation is more easy than Cartoon. Less time and effort! You can post the animation you made on the internet and show it to your friends. Since the movement of a character can be reused as an object, when making the next story, animation can be made quicker and easier. Let’s shape your story!